The minister did not say whether his example referred to any specific candidate in the June 2013 elections. 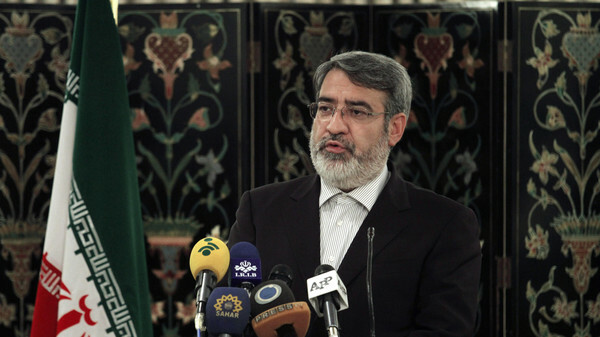 Iran’s Interior Minister Abdolreza Rahmani Fazli said Saturday political life in the Islamic Republic was tainted by “dirty money”, including from drugs, the official IRNA news agency reported. “A large part of the moral corruption in this country comes from the introduction of dirty money into politics,” the minister was quoted as saying. Iran was in 136th place out of 175 last year in an index of nations seen as corrupt by Transparency International, a non-governmental organization. “Part of this money is now in politics,” said Rahmani Fazli, who was speaking during a seminar of police officials charged with fighting drugs trafficking. Rahmani Fazli cited money both from drug trafficking and from contraband, saying this amounted to the equivalent of nearly $20 billion (17.5 billion euros) every year. Iran is the main transit route for much of neighboring Afghanistan’s trade in illegal narcotics. Official figures say the police seize 500 tons of drugs annually and have busted 2,000 bands of drugs smugglers in the past 11 months alone. President Hassan Rowhani, regarded as a moderate, has said the fight against corruption is one of his priorities to rescue the crisis-hit economy. Several graft-related scandals have recently rocked the country. In January, a vice-president of Rowhani’s predecessor Mahmoud Ahmadinejad, Mohammad Reza Rahimi, was sentenced to five years in prison on what media said were corruption charges.